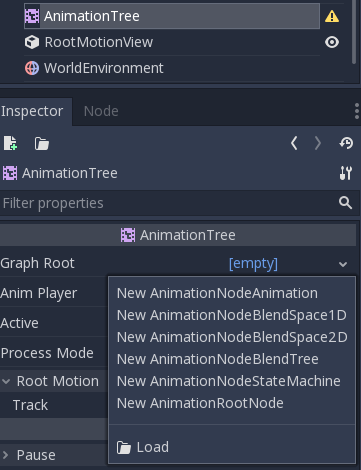 Godot has been updated, getting the rewritten animation tree. Let’s check out the engine’s new features to see how it can help you develop complex 3D games. BlendSpace1D and BlendSpace2D, for visual blend spaces. Animations show their progress with a proper bar, and active wires become blue. 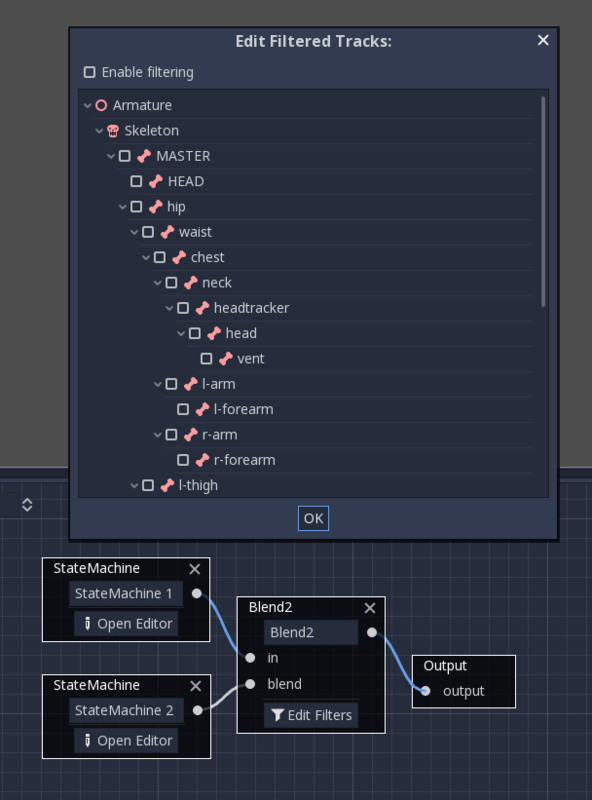 It is also possible to use blend spaces, state machines and even other blend tree as sub-nodes. In the example below, two state machines are blended via a Blend2 node, with filters set. This way, a functionality similar to state machine layers (from other engines) can be achieved easily. With the help of Thomas Herzog, both 1D and 2D blend spaces are supported in Godot. 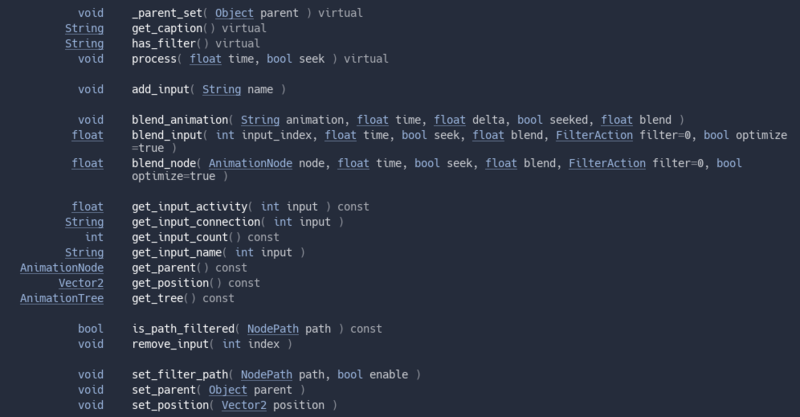 Finally, Godot introduces a state machine. This state machine is rather simple but very efficient, and relies on the concept of travel. Conditions to change states are not supported but can be easily scripted by adding scripted transitions (we’ll see in the future whether this is worth adding to the core or can remain an extension). It is also easy to set a track as root motion. If set as such, a transform with the motion for the frame can be obtained and used as well. A new node RootMotionView was added to aid in debugging root motion. The old animation system (AnimationTreePlayer) has now been deprecated and will be removed in future versions. By the time, we will add a compatibility API so they get converted to the new system.